Between January and March 2018, Kent Sport conducted a survey of sports clubs in Kent and Medway. The survey was completed by 358 different sports clubs from all over the county, representing 63 different sports. A prize draw was carried out to randomly select five clubs to each win £100 prizes. The lucky winners were Racqueteers Badminton Club, Sun FC, Fordcombe Cricket Club, RTW Monson Swimming Club and Swanley Netball Club. Half of clubs (51%) have seen an increase in their number of junior members over the past year, with 40% seeing adult membership numbers increase. 18% of clubs have seen their junior numbers reduce, compared to 12% seeing adult numbers go down. 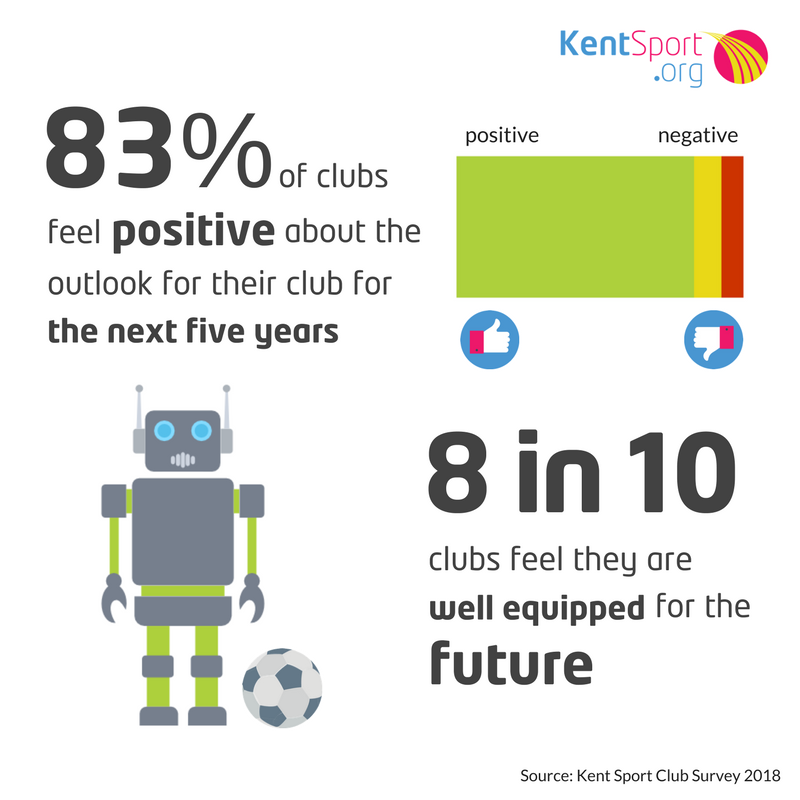 83% of clubs feel positive (very positive or somewhat positive) about the outlook for their club for the next five years, while 79% feel very, or quite well equipped to deal with the challenges they face at the moment. 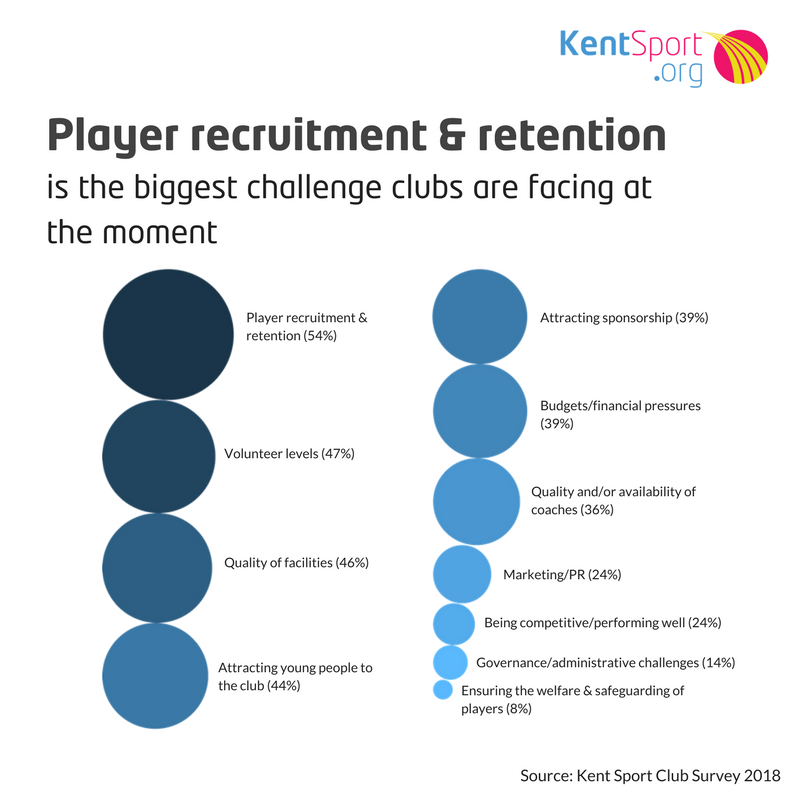 Player recruitment and retention is seen as the biggest challenge facing clubs at the moment, with just over half of clubs citing this as a key challenge (54%). Volunteer levels, quality of facilities and attracting young people to the club are also high on the agenda of clubs. 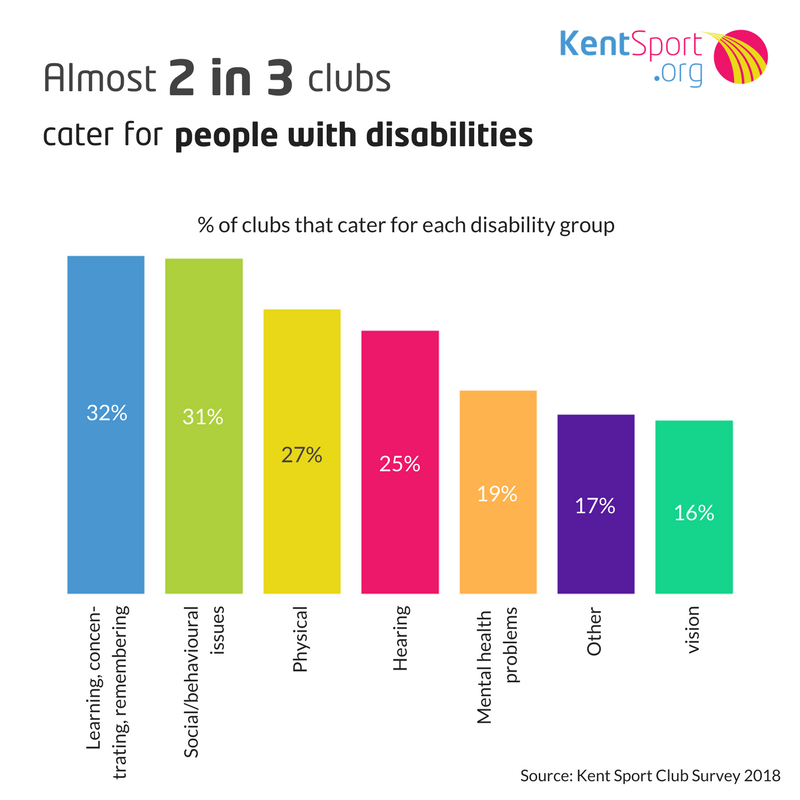 Almost two-thirds of clubs (62%) state that they cater for people with disabilities, with “learning, concentrating or remembering” and “social and behavioural issues” being the most commonly cited disability groups catered for. 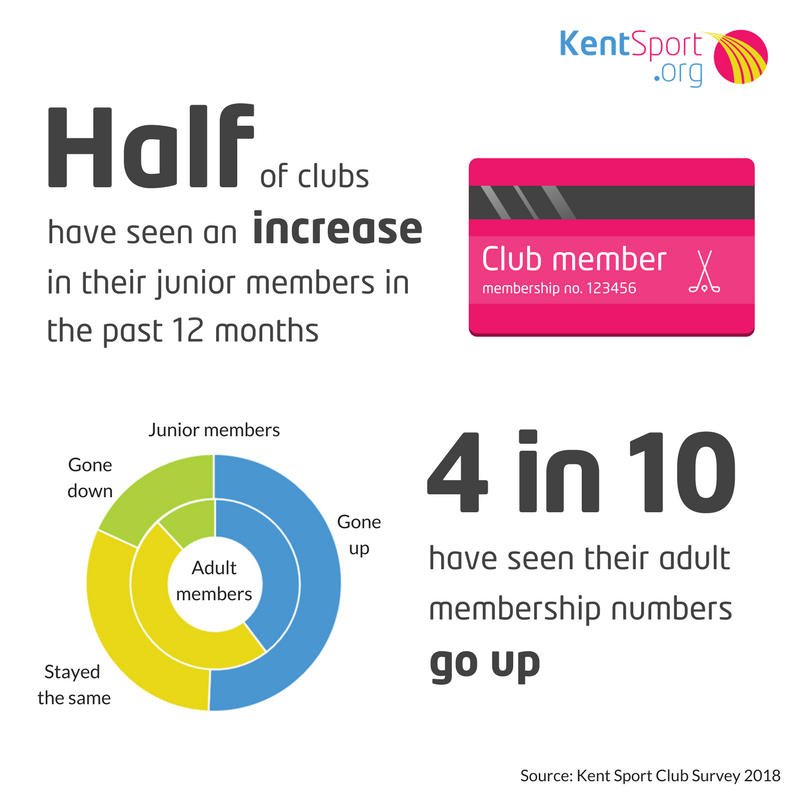 For more information on the club survey, contact Stuart Butler at stuart.butler@kent.gov.uk, or call 03000 411869. The graphics in this news article contain icons made by Vectors Market from www.flaticon.com.